Effective praise and worship help draw people past their own issues and hang-ups and into God's presence. Dan is a gifted musician and worship leader and was formed as a music minister at Christ the King Church in Ann Arbor, MI. Dan has led worship at Soulfest Christian Music Festival, The National Catholic Charismatic Leaders Conference, Renewal Ministries' Annual Gathering, The Catholic Underground (NJ), the New Jersey Catholic Charismatic Rally, and numerous retreats, healing masses and parish missions. 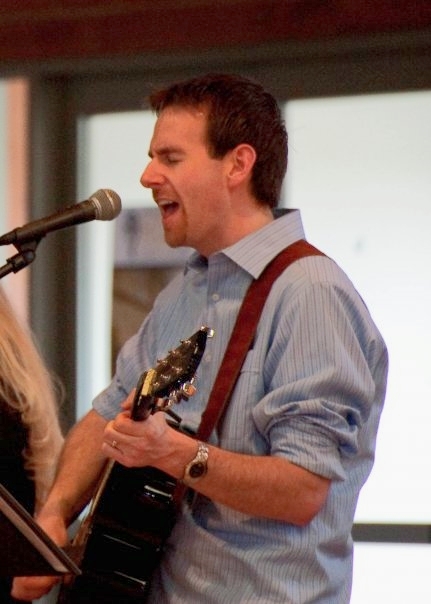 Dan is available to lead worship at your event, according to your needs. He is comfortable leading solo, working with your group of musicians or he can provide a full band.